What? You mean oxygen doesn’t cure all ills? It will be just our little secret, but oxygen is not a panacea . . . and . . . it . . . is . . . sometimes . . . bad. The way it seems the vast majority of ALL EMS responders must think is that it’s better to give oxygen than to just transport. And god forbid you don’t have a pulse ox. You have to consider the thought process involved. Use the gadget with the flashing light. Gadget with flashing light wins too often . . . and . . . it . . . is . . . sometimes . . . bad. But want to call HEMS for the cool pins and a nice hat? You’re a hero. Use the noisy flying gadget with a lot of flashing lights and the free lapel pins. So, go ahead and do us a favor and get some docs with you to replace the registry and possibly the joint while you’re at it. I am just ranting away about these darned naked emperors prancing around with nothing. These stark naked guys are the pall bearers for a lot of flight nurses, flight medics, EMS pilots, and patients. These killer buffoons need to be stopped. Some of the doctors are realizing this, but many emergency physicians are fanatical helicopterists. They will transfer patients from the suburbs by helicopter no matter how much the flight delays transport and even if those on the helicopter work on the ambulance when not scheduled on the helicopter. This often has nothing to do with quality of care. This often has nothing to do with speed of transport. This is purely for the emotional satisfaction of the person calling for the helicopter – regardless of whether that person is a first responder with minimal medical training or a board certified emergency physician. The only thing that changes, from Ricky Rescue to Dr. Rescue, is that Dr. Rescue uses fancier words when making his lame excuses. Perhaps I am too negative in my interpretation of the research on ACLS medications. What about a more objective assessment – one with a more statistical view of the harms and benefits? How many patients have to be treated with ACLS (Advanced Cardiac Life Support) drugs in order for one patient to benefit (be resuscitated) from the treatment? The NNT is a very interesting site. The information is prevented much more succinctly than I usually describe things. NNT is a common medical term. NNT is the Number Needed to Treat – the average number of patients we would need to treat with something in order for one patient to benefit. The flip side is NNH. NNH is the Number Needed to Harm – the average number of patients we would need to treat with something in order to harm one patient. This is explained in more detail (including a less than 4 minute YouTube video for those who don’t want to read a lot) at the NNT Explained page. Understanding the material presented in the video is very important for understanding the actual benefit of a treatment, rather than the potential benefit that is given by those promoting any treatment. Once you understand this, you will be able to see that many treatments require huge numbers of participants because the NNT is so large. A large NNT means a small benefit (in numbers). Just because only a small number of patients benefit, does not mean that the benefit is small. The amount of benefit for those who do benefit is also important. This is one of the reasons we spend so much time treating cardiac arrest. While the NNT for cardiac arrest is large, the benefit is lives saved. There are few benefits as important as that. As the method of CPR improves, the NNT drops because the treatment helps more patients. The NNT is a great site to look around and get a quick idea of the relative benefits of many different treatments. Go browse the NNT. Also posted over at Paramedicine 101, which is now at EMS Blogs. Go check out the excellent material there. I will keep pointing out the problems with furosemide (Lasix) and the evidence against it. Let’s ignore the problems with giving furosemide to patients who actually have CHF/ADHF (Congestive Heart Failure/Acute Decompensated Heart Failure). Can medics correctly identify CHF/ADHF? The EHS ePCR database identified paramedic reports in which furosemide was administered. As furosemide only appears in the CHF/pulmonary edema protocol, paramedic differential diagnosis of this was assumed by furosemide administration. Data abstraction from the EHS ePCR and ED chart included the EP primary diagnosis, considered the gold standard. Other data points collected included: demographic information; EHS treatment administered; treatment administered in the ED; adverse events and patient disposition. They do not describe their method of selecting the charts. How did they select their sample? There were three objectives of this study. The first was to determine agreement between paramedic administration of furosemide with EP diagnosis of CHF. The second was to examine differences in interventions administered by paramedics and in the ED by EP diagnosis of CHF. The third objective was to identify any adverse events that occurred during patient care. How much agreement on CHF/ADHF diagnoses? It should be noted that seven patients without an ED diagnosis of CHF received ED furosemide and 43 patients received ED nitro with only eight of those having a primary diagnosis of ACS. This data put the accuracy of the primary ED final diagnosis as a reference standard into question, as it appears CHF may have been in the differential diagnosis for many patients not ultimately diagnosed with CHF. Secondary diagnoses were not sought out and included. Therefore, paramedic accuracy reported in this study may be falsely low, if CHF was part of the EP secondary diagnoses. It should also be noted that there were two patients with a diagnosis of “shortness of breath not yet diagnosed.” It is possible that these patients did indeed have CHF, but were not diagnosed until a later time during hospital care. This needs to be considered when determining paramedic diagnostic accuracy. OK. For some reason, the emergency physicians gave furosemide to 21% of the patients they diagnosed with something other than CHF/ADHF. That may be explained by the CHF/ADHF being a secondary diagnosis. This is something that should have been included in the study. What was being treated and for what reason. From the way they describe their data, they had the actual ED physician chart, not just a diagnosis. This is something they should include in a follow-up study, especially with a larger sample size. Since two of the patients had the diagnosis shortness of breath not yet diagnosed I will move them to the CHF/ADHF side of the graph. After all, most of the patients were diagnosed with CHF/ADHF. On the other hand, there are problems with the way they conclude that some patients do not have CHF/ADHF. How much higher would things be if secondary diagnoses were included? What does NTG (NiTroGlycerine) have to do with ACS (Acute Coronary Syndrome), when examining CHF/ADHF treatment? NTG is the most effective medication for hypertensive CHF/ADHF. Go listen to the EMCrit CHF/ADHF podcast if you doubt me. For those not hypertensive, this research certainly suggests that NTG should be studied. NTG is not just for chest pain. Data abstraction from the EHS ePCR and ED chart included the EP primary diagnosis, considered the gold standard. Maybe. Maybe not. And don’t get me started on Gold Standards. ED mortality was higher in patients with an alternate diagnosis than those diagnosed with CHF by the EP (2/60 vs. 6/34, p=0.017). As documented on ED charts, eight patients in this sample suffered adverse events other than death. These adverse events were: hypotension (n =3), heart rate problem (n =3), electrolyte imbalance (n =1), and respiratory effort decline (n = 1). All of the patients who suffered adverse events were diagnosed with CHF by the EP. Adverse events were not associated with the amount of nitroglycerine, morphine or furosemide administered. Adverse events in the ED were documented as occurring as often as death in the ED. Almost all of the deaths were in the group not diagnosed with CHF/ADHF, but all of the adverse events occurred in the group diagnosed with CHF/ADHF. Of the six patients with an alternate diagnosis who had an outcome of death, three were diagnosed with pneumonia. Eight adverse events other than death were identified in this sample. Interestingly, all these patients were correctly identified as having CHF, which contradicts previous research which has found adverse events were more likely in patients incorrectly treated for CHF by paramedics.11,12 This indicates that furosemide should be administered with caution, even in cases where diagnosis of CHF is correct. Where is the evidence that furosemide should be administered, even if the diagnosis of CHF/ADHF is correct? What would we want to know? Did the patients have peripheral edema when given furosemide by EMS. Even with peripheral edema, furosemide is far from the first line drug, but without peripheral edema, it is not going to do anything good. These patients need the best treatment possible, not the most persistent hold out from the Dark Ages. We have known that CHF/ADHF is not primarily a fluid overload problem since the 1980s. Why is EMS still using furosemide? Is there any problem with a shortage of furosemide? Not at all, but this isn’t the study to prove it. I hope the authors use what they learned from this to design a definitive study of the prehospital use of furosemide. Updated 02-07-11 to correct the uselessness of the original charts I made for this post. More details are in Corrections of Misleading Charts. Thomas Dobson, Jan Jensen, Saleema Karim, and Andrew Travers. Further thoughts on EMS case law? AMA Refusals, Death, and Documentation – Life Under the Lights. How do we determine what is low risk chest pain? One of the most common judgment calls in the emergency department (ED) is also one of the thorniest: deciding whether to send home a patient who is complaining of chest pain but is highly unlikely to have heart disease. The person is an adult younger than 40 years and with no family history of cardiac problems, and both the ECG and blood test results for troponin are clear. Under 40? How old was the patient in the article referenced by Ckemtp? I didn’t see an age. The article I quoted above, cites this position statement (below) from the AHA. You know the American Heart Association, the people who write the guidelines we use as the basis for EMS cardiac protocols. Assuming that this is a low-risk chest pain patient, what does the AHA consider to be the defensible way to approach this patient? Jaw, neck, or arm discomfort; dyspnea; nausea; vomiting; diaphoresis; unexplained fatigue, and other symptoms. These are seen more frequently in the elderly, women, and diabetic patients. Not the typical non-diabetic middle-aged man chest pain. Why do we feel that we should assess every possible cardiac patient as if that patient is a non-diabetic middle-aged man? When assessing female patients, do we not understand that they are not non-diabetic middle-aged men? When assessing young men, do we not understand that they are not non-diabetic middle-aged men? When assessing diabetic patients, do we not understand that they are not non-diabetic middle-aged men? When assessing old men, do we not understand that they are not non-diabetic middle-aged men? A normal physical examination is present in the majority of uncomplicated cases of ACS and contributes to the initial impression of low clinical risk. Why do we lie to ourselves about chest pain? EMS is not responding to 911 calls to look for reasons that the patient’s symptoms are not cardiac. Testing of Low-Risk Patients Presenting to the Emergency Department With Chest Pain. A Scientific Statement From the American Heart Association. Amsterdam EA, Kirk JD, Bluemke DA, Diercks D, Farkouh ME, Garvey JL, Kontos MC, McCord J, Miller TD, Morise A, Newby LK, Ruberg FL, Scordo KA, Thompson PD; on behalf of the American Heart Association Exercise, Cardiac Rehabilitation, and Prevention Committee of the Council on Clinical Cardiology, Council on Cardiovascular Nursing, and Interdisciplinary Council on Quality of Care and Outcomes Research. It is important to read. This is also a job for Star of life Law – a real lawyer. I am not a lawyer, but looking at the legal paper, it seems that this is just a determination of whether the law suit can proceed. If the original judge ruled that there were no grounds for a suit, then there probably had not been a presentation of a defense. That would happen during discovery (which may have been concurrent) and trial. This ruling seems to be – the plaintiffs can proceed with their suit. The trial may still be a long way off. What is described in this ruling from the Court of Appeals is superficially scary. 15 minutes on scene, for a patient who died less than a day later. Sounds bad, but we don’t have any of the information to explain why. Did the medic incompetently blow this off as indigestion? Did the patient threaten them and chase them from the home? Probably not. It doesn’t seem that way, but we do not know. I spend much more time on refusals than almost any other call, although I have spent over an hour on scenes getting patients’ pain to the level where it was not torture to move the patients. I have even had a refusal from a patient presenting with what gave every sign of being an MI. I showed him the ST elevation. He was a cardiologist. He absolutely refused. I have no idea of the scene time, but I got everybody there to try to persuade the patient to go to the hospital. I got medical command to talk to him, even though this was in a place where the doctors don’t talk to refusals. I’ll talk to this patient, but we don’t do that here. WTF? I never heard anything further about this patient. It was an ALS assist outside of our territory. I checked the obituaries a couple of times, but this was when that required buying the local paper, or going to the library. As a library addict, I stoned a couple of birds in one shot. No dead doctor. The part that does not look good is this. What emergency physician is arrogant enough to discharge a patient with only a 12 lead ECG? And we don’t even know if they did a 12 lead ECG. Can we diagnose an MI/STEMI/NSTEMI with just a 12 lead ECG? Does that mean that we can rule out an MI/STEMI/NSTEMI with just a 12 lead ECG? A positive finding means something. A negative finding only means that at the time the 12 lead ECG is performed, the patient is not having a heart attack that can be detected by a 12 lead ECG. A negative finding does not mean that the patient is not having a heart attack. Consider that you are in the woods. It is cold and you are seeking shelter. You see a cave. It is dark in the cave. If you heard growling coming from the cave, you would have a positive finding that there is an animal in there. If you cannot hear anything, or see anything, does that mean that there are no animals in the cage – nothing big enough to reach out and bite you? Unless the test has excellent sensitivity, a negative finding only means that nothing was detected. It does not mean that nothing was there. If you could see through the walls of the cave, you could be sure if there were any animals inside, what kind of animals, how many animals, and many other things. In EMS, we do not have that kind of diagnostic equipment. Waveform capnography may be the closest we come. It may be nice to tell someone that everything is OK, but it is just a coin flip on whether we are right. That is not even close to competent. Will an emergency physician also check cardiac enzymes and still worry that he may be discharging a patient with a real heart attack? The cause of death was not a heart attack. The cause of death was pulmonary embolism. Maybe we do an excellent job of ruling out a heart attack. Yippee! That does not mean that the only other cause of chest pain and difficulty breathing is indigestion. We should never approach a patient assuming that the cause of any complain, even abdominal pain, is indigestion. Even if the patient is mixing 5 alarm chili, donuts, beer, chocolate milk, whiskey, candy corn, a soufflé, and a bunch of other food that gives us indigestion just looking at the combination. Even if this patient has GERD and ulcers. I do not believe in telling lies to patients. If you don’t go to the hospital, you’re going to die! If the patient does go to the hospital, the patient is still going to die. Everybody dies. So? I explain the reasons the patient may want to go to the hospital. I explain the limitations of my assessment. I explain whatever they ask (related to the call). Sometimes (frequently) my answer is – I don’t know. Treatment and transport also require informed consent, but we seem to ignore that – a lot. How many of us obtain informed consent for spinal immobilization, or even an IV start? How many of us would be able to provide accurate information for a patient to be able to make an informed decision to consent to treatment/transport or to make an informed decision to refuse treatment/transport? If we do not do a good job with informed consent, are we surprised that a lot of refusals are not well informed? I expect to be writing a lot about the EMS EduCast – Excited Delirium: Episode 72. It is very important essential for EMS providers. The first comment in response to my post, Excited Delirium: Episode 72 EMS EduCast, is from Tom Bouthillet of Prehospital 12 Lead ECG. I can hear it now. “Hindsight is 20/20″ and “you’re an arm chair quarterback.” No, I’m simply pointing out that it’s a mistake to say that Mr. Johnson did nothing wrong. Clearly at least one major mistake was made. I agree that using the baton was poor judgment. When faced with an unstable situation, we will make snap judgments. Marty Johnson’s explanation is that he felt it was the only way he could get a grip on the patient. He stated that the patient was sweaty and he had latex gloves on, so the patient kept slipping out of his grasp. I would take the gloves off. Even though the patient is bleeding, you have to assume that the gloves have already lost their much of ability to act as a barrier to transmission of germs, but the gloves are acting as a barrier to being able to manage the situation. We occasionally have to make important decisions about the appropriate amount of force to use. We should have thought these out, as much as is practical, ahead of time. How many of us have thought these things through? This is a situation that may initially seem like it is not a big deal. the problem is that things do not get better. They get worse. Not just a little bit worse, but a lot worse. Not necessarily getting a lot worse right away, so that you just step back and re-evaluate or to retreat and call for help, but progressively worse, so that you may not be aware of the way things are spiraling out of control. We expect to be in control. During EMS education, we are even told the lie that we should be in control. Because of this, we are frequently able to dismiss the evidence that we are not in control. Having developed this ability to ignore just how out of control things are, we react poorly when things do not go our way. We flail about and panic. Ironically, the patient may be doing exactly the same thing. Would Marty Johnson do things differently, today. I think that he made that very clear. He is trying to get people to understand how badly things can turn out. Even more important than the baton is the perception of the baton. Is a baton a weapon, if it is not used to strike? Is a baton a weapon, if the baton is used to protect the person the baton is being used on? Is a sedative a weapon? Is a restraint a weapon? Consider the weaponized fentanyl variant used during the Moscow theater hostage rescue. How much does the result affect the interpretation of the intent. According to court testimony from Prof.A.Vorobiev, Director of Russian Academic Gemology Center, most if not all deaths were caused by suffocation when hostages collapsed on chairs with heads falling back or were transported and left lying by rescue workers on their backs; in such position, tongue prolapse causes blockage of breathing venues.. Thus, part of casualties can be attributed to accident but at least some to unprofessional rescue efforts. Even if nobody had died in Moscow, the chemical would have been considered a weapon, but many of the deaths of the hostages would probably have been avoided with basic airway positioning. Some people vomited, aspirated, and asphyxiated. Others were suffocated by a lack of positioning, allowing the tongue to obstruct the airway. Had there been better organization of the evacuation, how many of these people would not have died that day? Had there been better organization of the evacuation, this might not have been a disaster. How we act helps to show our intent. When we are prepared, we can act more appropriately, even if the initial impression of onlookers (including medical command) is that we are being inappropriately aggressive. When we are prepared, we can turn an unstable situation into a non-event, except for dealing with the protocols that discourage/prohibit appropriate care. We use our hands for many purposes. We can use them to deliver painful stimuli. When done appropriately, there should not be any permanent harm, and the pain should be stopped as soon as there is an adequate response to the stimulus and only repeated if stimulus is again appropriate. The entire point of painful stimulus is to produce a response, and we do this on a regular basis. Most often, we are using verbal stimuli, but we move to more aggressive stimuli, when the less aggressive stimuli do not elicit a response. If we omit painful stimuli from our assessment/treatment, then we are neglecting some of our patients. Was he charged with murder just because he used a baton to attempt to restrain a patient? Was Marty Johnson charged with murderous assault, even though he was driving the ambulance at the time the alleged crime occurred? If he had showed up and aggressively sedated this patient, would this have been anything other than a routine call? The doctors may have made a big deal about aggressive sedation, even though it is probably the best thing for the patient. Acting appropriately aggressively initially will often prevent a lot of bad outcomes. Our goal should be calls that are not memorable, because the patient was protected by aggressive intervention. Unfortunately, we have patients harmed by some protocols that discourage aggressive intervention, because What if . . . ? I am not cavalier about the aggressive use of sedatives, opioids, or other drugs. I think that aggressive treatments should be treated as sentinel events. RSI Intubation is an excellent example of a treatment that should not be treated as anything other than a sentinel event. Everything that we do has the potential for harm. Aggressive oversight means throwing out the medical command permission requirements, but requiring that medics be competent before allowing them to work on their own. Aggressive oversight means throwing out the medical command permission requirements, but requiring that medics be accountable for all of their actions. Medical command permission requirements are purely for the psychological benefit of the people who do not understand medical oversight. Medical command permission requirements are dangerous. According to court testimony from Prof.A.Vorobiev, Director of Russian Academic Gemology Center, . . . .
Gemology? – the science dealing with natural and artificial gems and gemstones? Why is a gemologist, academic or otherwise, giving expert testimony on toxicology? A better question may be – Why does the gemologist make more sense than everyone else quoted? Or is it a translation error? Some people may think that I am crazy for claiming that we should not use Lasix (furosemide). For a slightly different perspective, here is an emergency physician describing the appropriate treatment of unstable hypertensive acute pulmonary edema patients. EMCrit is an excellent podcast blog with nice short podcasts. More important than being nice and short, the podcasts are science-based and address many of the issues that EMS treats. The first podcast from EMCrit is 10:33. Is the furosemide drug shortage important? So, the first thing you do is get your Lasix . . . So, the first thing you do is get your Lasix and you throw it in the trash. This is the podcast for me. It’s not going to help you and it’s very potentially going to hurt you. No Lasix in these patients. Now, I’m sure your EMS providers have already given it. Well, that’s just fine, but you don’t have to exacerbate the problem. Most of these patients will end up volume depleted, not volume overloaded when you look at their intravascular space. You’re probably going to end up giving fluid to these patients, not trying to diurese them. The problem is not fluid overload. PS – Dr. Weingart, why not try to get those of us in EMS to improve our care of these patients, too? High-dose NTG and CPAP are also treatments that can be given by EMS. In some places, these are given by EMS. With sublingual NTG (NiTroGlycerine) we probably cannot give too much to these patients. We should be using NTG by IV in EMS. In Pennsylvania, IV NTG is an optional drug for 911 services. EMCrit’s page of references supporting this aggressive approach. Updated 02/08/11 to reflect the new blog address for EMCrit. http://emcrit.org/ The old links did not redirect appropriately. 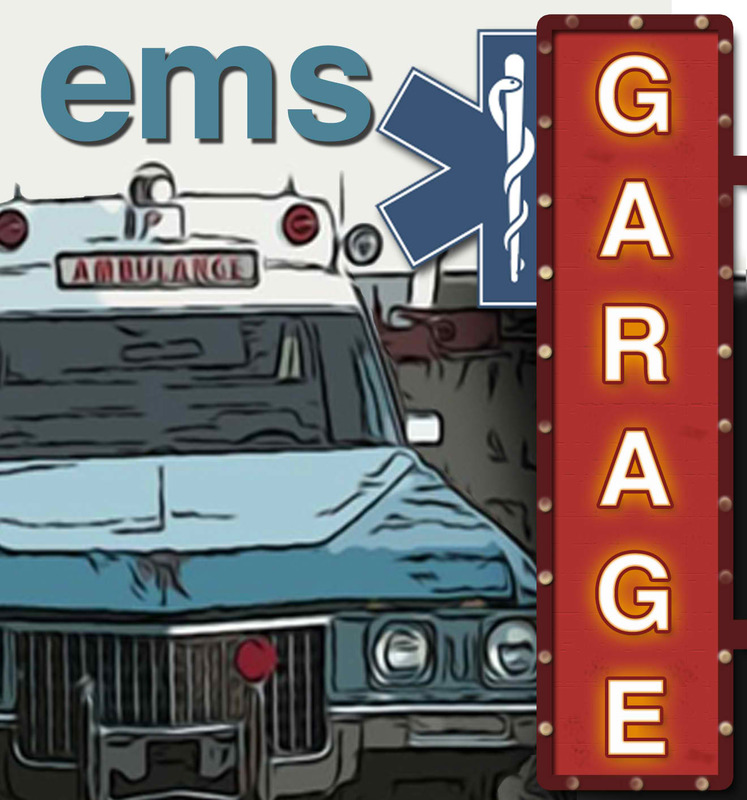 On BYOT: EMS Garage Episode 105 we discussed 2 things that I wanted to rant about – here is some of the second rant. The second topic was prehospital pain management. I think that Chris Montera saw my post A Prehospital Pain Management Discussion at the NAEMSP Site and wanted to discuss it. There is a lot of excellent material at the NAEMSP discussion site. There are a lot of ideas discussed on the podcast. Why are there so many doctors discouraging appropriate patient care? What can we do to convince them that prehospital pain management is safe, effective, and necessary? This is not directed at Chris, since he is aggressive with pain management. He was only repeating one of the arguments against aggressive prehospital pain management – actually, it is an argument against all prehospital pain management. I scared Chris a little bit with my response, when he repeated what some people claim about pain – Pain never killed anyone! If anyone wishes to provide some evidence, please do so. If there is no evidence to support this claim, then prove it. Let me deliver some extreme pain to you, just for a while. I won’t break anything or burn anything, but I will see if I can cause enough pain to kill you. If Pain never killed anyone!, it won’t kill you either. You will have experienced some memorable pain. You may have nightmares and other PTSD (Post Traumatic Stress Disorder) symptoms, but since you have already made it clear that you don’t take pain seriously, why should you mind? We’ll strap you to a chair, so that you don’t injure yourself by thrashing around. Safety first. We’ll hook you up to a monitor to see just how much stress your body is experiencing. We’ll even get a medical director, who believes in Mother-May-I protocols, to supervise. What could be safer – if you are right? Pain is not dangerous, this is completely safe – Right? If pain does not need to be treated, then there is no medical problem created by just causing a bit of pain – OK – a lot of pain. Or is pain dangerous? I dare you to prove to me. I can be reached at the email below or in the comments.